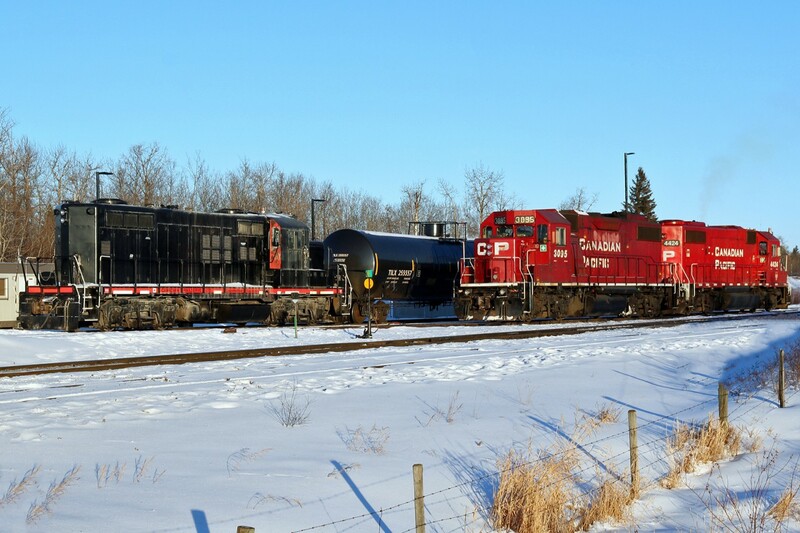 Railpictures.ca - colin arnot Photo: A pair of CP GP38-2s and an unidentified Canadian Railserve GP9 sit in CP’s Scotford Yard. | Railpictures.ca – Canadian Railway Photography – photographie ferroviaire Canadienne. Caption: A pair of CP GP38-2s and an unidentified Canadian Railserve GP9 sit in CP's Scotford Yard. Did something blow? Like oil?